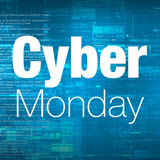 Revit Add-Ons: Cyber Monday Deal – Save 30% on RTV Tools' Line of Products! Cyber Monday Deal – Save 30% on RTV Tools' Line of Products! Save 30% on RTV Tools' line of products until midnight, November 30, 2016 NZST!